P Miller Electrical - Alarms/Security, Electrician based in Barnsley, South Yorkshire. Welcome to P Miller Electrical Checkatrade page and thank you for taking the time to look into my details. 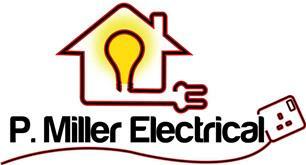 P Miller Electrical is owned and operated by Paul Miller. The company is based in Barnsley and operates throughout South and West Yorkshire. The company deals with all aspects of electrical systems in the Domestic,Commercial and Industrial Sectors. P Miller Electrical is Part P Registered, a member of the National Association Of Professional Inspectors and Testers (NAPIT), listed on the Electric Safe Register and, a member of a government TrustMark Scheme. Paul prides himself in offering a prompt, efficient service and is always conscious of his customers needs. He is also pleased to offer free estimates, offer a no call out fee policy & fully guarantee all of his work. Please feel free to contact Paul to discuss your individual needs and requirements.